EAGLE COUNTY, Colorado – Medical marijuana will be the topic of two separate meetings today in Avon and Eagle County. Avon could follow Vail’s lead and ban pot shops. Council members will get their first look at a proposed law that would prohibit business licenses for medical marijuana businesses in town. The council meeting starts at 5:30 p.m. tonight at Avon’s town hall, 1 Lake St. Meanwhile, commissioners will seek feedback on the future of the medical marijuana industry in unincorporated Eagle County. County commissioners are holding a work session on the topic at 1:30 p.m. today. Under a bill Gov. Bill Ritter signed into law last month, local governments have the ability to regulate dispensaries. “We have the power, more than we had before, to put an even tighter regulatory leash on the industry or ban it outright,” Eagle County Commissioner Jon Stavney said. With the town’s 200-day moratorium on dispensaries set to expire Aug. 8, Avon officials want to put a more permanent law in place. Council members will be wrestling with what the future of medical marijuana should look like in town. Councilwoman Kristi Ferraro said she’s open to hearing what the public has to say about the dispensaries but she has concerns about them. Mayor Ron Wolfe said he sees no reason why Avon needs dispensaries, since medical marijuana shops are accessible in nearby Eagle-Vail and Edwards. Council members will not be accepting public comment on the new law tonight, but members of the public will have an opportunity to speak at an upcoming hearing on the law, which might happen at the next council meeting on July 27. Members of the public also can weigh in on the proposed law at a July 20 planning and zoning commission meeting. Eagle County commissioners will be hearing from their legal department on the different options they have for regulating dispensaries, Stavney said. Commissioners don’t plan to make any decisions today, he said. They’re just looking for feedback on which options, if any, they should pursue. About five dispensaries are currently operating in Eagle-Vail and Edwards. Current regulations allow for dispensaries in commercial and industrial zone districts in unincorporated Eagle County with specific distance requirements from residences, schools, churches and other public places. Bryan Swanton, owner of Tree Line Dispensary in Eagle-Vail, said he plans to attend today’s meeting but is unsure whether he’ll speak. He said a recent newspaper letter spread false, damaging rumors about him, leaving him to worry that intolerance could emerge if he speaks out. “I think Eagle County should respect the silent voices of the hundreds and hundreds of licensed Eagle County patients who might be scared to stand up, voice their opinions and deal with what I dealt with,” he said. He doesn’t think Eagle County should put dispensaries out of business. 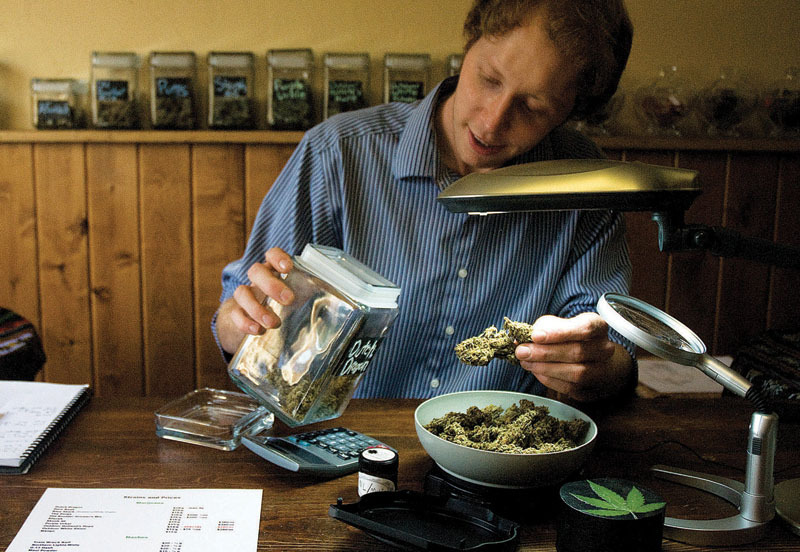 “Banning dispensaries is going to cut the tax revenue and give a huge boon to the black market,” he said. Staff Writer Sarah Mausolf can be reached at 970-748-2928 or smausolf@vaildaily.com.